(Natural News) Medicinal plants have always surrounded us since the beginning of time. History has shown that our ancestors heavily relied on these plants to treat a lot of ailments. However, with the advent of so-called “modern medicine,” these plants have been left by the wayside, seemingly forgotten by everyone. However, a renewed interest in traditional medicine, partly driven by adverse effects of modern medical practices, have brought these plants to the fore. In particular, a study published in the Journal of Traditional and Complementary Medicine focused on the Arjuna tree, a well-known medicinal plant in India. 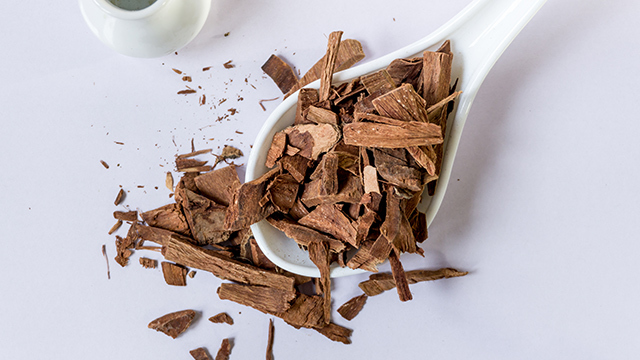 Led by researchers from Aurea Biolabs, the paper made a comprehensive review of the various medicinal properties of the Arjuna tree using various published studies on the plant. The Arjuna tree (Terminalia arjuna), also called the Arjun tree, is a large deciduous tree that can reach up to 85 feet in length. It is characterized by yellow flowers which bloom between March to June, with fruits developing from September to November. In early Indian traditional medicine, medicinal plants such as the Arjuna tree were used to treat a variety of conditions, but while most plants have fallen into disuse with the introduction of modern medicine, it is still being used to treat conditions like cardiovascular disease (CVD), ulcers, diabetes, cough, excessive perspiration, asthma, tumor, inflammation, and skin disorders. In the study, the researchers scoured scientific literature to gather available information on the Arjuna tree. An electronic search was conducted using Pubmed, SciFinder, Scopus, Scirus, ScienceDirect, Google Scholar and Web of Science, and a library search for locally available books complemented it. Using the data that they collected, the team described the major parts of the Arjuna tree, and they conducted an initial phytochemical analysis of each part. The tree bark, a part that is widely used in medicine contains 23 percent calcium salt and 16 percent tannins. Other bioactive compounds such as polyphenols, flavonoids, tannins, saponins, sterols, and minerals were also found, including amino acids like tryptophan, tyrosine, histidine, and cysteine. The fruits and the roots contain arjunic acid – described as a free radical scavenger. An animal study that looked at the effects of arjunic acid from the Arjuna tree revealed that the acid possessed strong antioxidant qualities. Researchers also discovered that the Arjuna tree possessed anti-ischemia properties, as well as antioxidants which help regulate LDL cholesterol levels. In the study, the team wrote that the Arjuna tree possessed great medicinal potential. “On the basis of the available literature evidences, T. arjuna [or the Arjuna tree] is widely used for treatment of cardiovascular diseases, including heart diseases and related chest pain, high blood pressure and high cholesterol,” they concluded. “It is also used for earaches and diseases of the urinary tract.” More studies are needed, they explained, to fully understand T. arjuna in terms of how it interacts with molecules, as well as its drug-drug interactions and toxicological effects. Want to learn more about the power of medicinal plants? Head over to Herbs.news today.